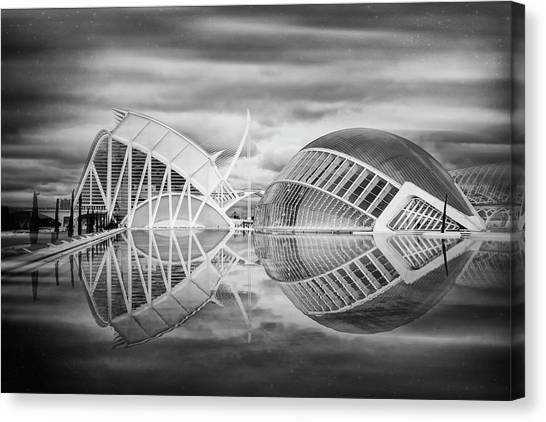 Futuristic Architecture Of Modern Valencia Spain In Black And Wh is a photograph by Carol Japp which was uploaded on November 17th, 2017. 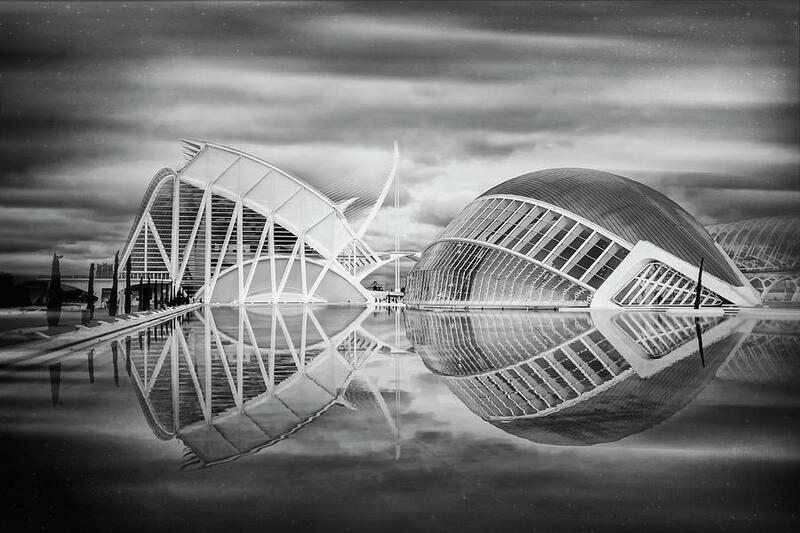 After a catastrophic flood in 1957, the city of Valencia decided to divert the Turia River to ensure that this disaster never happened again. By 1969 the riverbed was dry, leaving 5 miles of new land for redevelopment. The result is a fantastic urban green space for visitors and locals to enjoy. 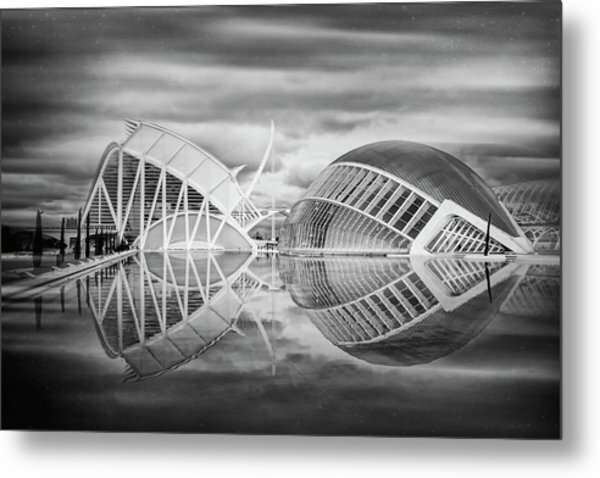 The newly built City of Arts and Sciences complex is probably the most fascinating area. A wonder of modern architecture designed by Valencian architect Santiago Calatrava, this cultural complex has something for everyone. On this particular evening, nightfall brought with it a glorious multi coloured sky, it was worth the wait! 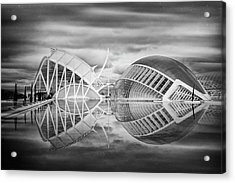 I added texture to Futuristic Architecture of Modern Valencia Spain in Black and White to complete the futuristic feel. 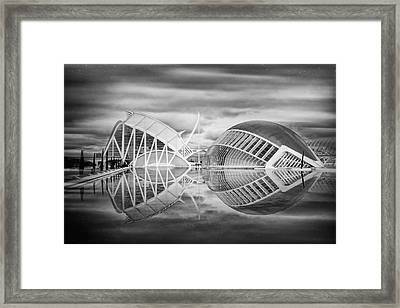 Thank you Robyn King for featuring my image on the homepage of the 'AAA Images' group, much appreciated! This is incredible!! I wasn't sure I liked the color version better or this one! They are both great!! It really does look futuristic!! 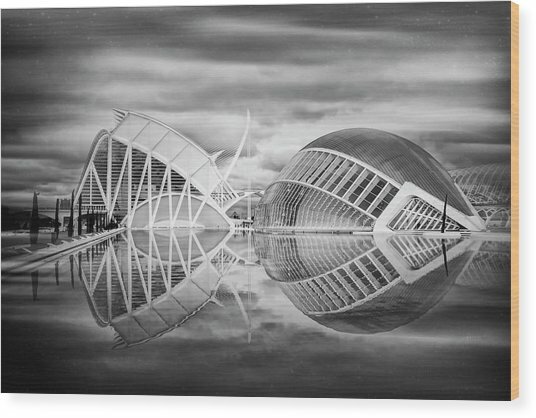 Thanks to Robyn King for featuring my photo on the homepage of 'The World We See' group! Much appreciated! Splendid work, Carol! Congratulations on your sale! Congrtats on your sale, Carol. Thank you Tatiana Travelways for featuring my photo on the homepage of the 'Travel Art' group! Much appreciated! Thank you Nader Rangidan for featuring my photo on the homepage of the 'A City For All of Us' group, much appreciated! Thanks very much for the group features: Jan Mulherin of 'Creative Black and White Fine Art Photographs', Romuald Henry Wasielewski of 'Arts Fantastic World', John M Bailey of 'Images That Excite You', Stefano Senise of '10 Plus', Robert Yaeger of the 'First Friday Gallery Group' and Jan Mulherin of 'Shadows Silhouettes and Reflections', I appreciate it! Thanks very much for the kind comments everyone, I appreciate it! Really nice job/capture Carol. Love it.